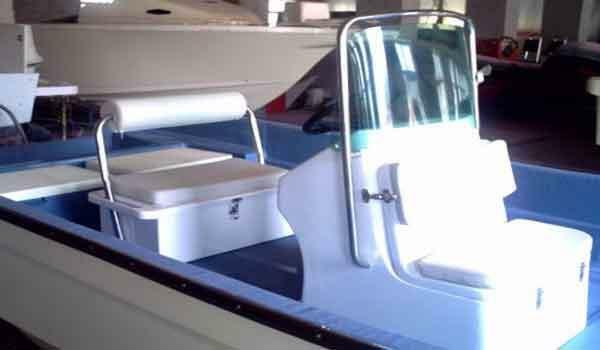 2016 Allmand 23 Commercial Fishing Panga All Boats are New And CUSTOM MADE TO ORDER - It take 90 days to custom build and deliver - ENGINE IS Not Included In The Price- Engines are ADDITIONAL COST Please Review our website allmandboats.com FAQ page before contacting All Boats are made with free shipping from Cincinnati, Ohio 2016 Allmand 23 Commercial Fishing Panga Free Global Shipping IncludedIn the USA shipping is free when purchasing the hull only.Shipping is always included for orders outside the USA with or without engines.For turn key orders with engines in the continental USA, shipping averages $1.75 per mile or less from Cincinnati, Ohio. 22 x 6'8" 1280 lbs. Self bailing, foamed gunnels 23 foot recreational and Commercial Panga boat. The 23 foot Panga has all the features of a true Panga boat as well as added floatation in the gunnel. The 23 Panga boat is designed for the flats fisherman to go where few other boats the same size can navigate in very shallow waters or near shore and bay waters. 2015 Allmand 23 Commercial Fishing Panga Free Global Shipping IncludedIn the USA shipping is free when purchasing the hull only.Shipping is always included for orders outside the USA with or without engines.For turn key orders with engines in the continental USA, shipping averages $1.75 per mile or less from Cincinnati, Ohio. 22 x 6'8" 1280 lbs. Self bailing, foamed gunnels 23 foot recreational and Commercial Panga boat. The 23 foot Panga has all the features of a true Panga boat as well as added floatation in the gunnel. The 23 Panga boat is designed for the flats fisherman to go where few other boats the same size can navigate in very shallow waters or near shore and bay waters. 2015 Allmand 21 8 Person Water Taxi Free Global Shipping IncludedIn the USA shipping is free when purchasing the hull only.Shipping is always included for orders outside the USA with or without engines.For turn key orders with engines in the continental USA, shipping averages $1.75 per mile or less from Cincinnati, Ohio. Very roomy for 8 passengers and cargo. 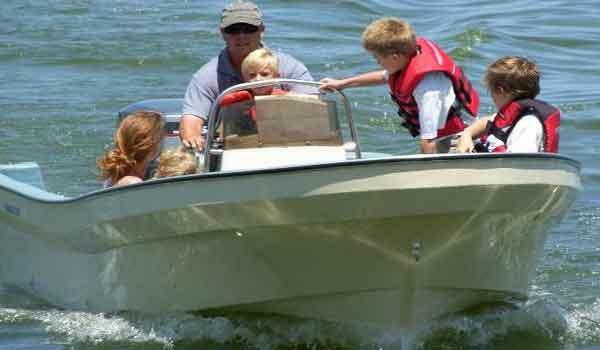 The small passenger boat uses a single outboard engine. The models are very popular in the Bahamas and other tropical regions where resorts are scattered among the islands. Great for a water taxi service for patrons, hotel staff, or passengers for fare. 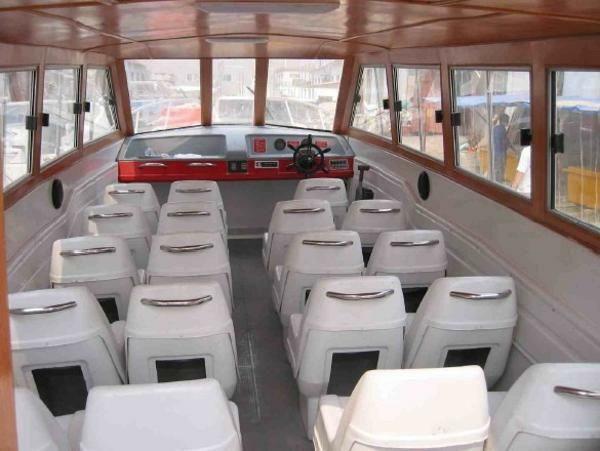 The 21 water taxi is also popular with other near shore taxi services in St Maarten and St Kitts. These passenger water taxis are perfect for tour boats. In Mauritius our boats our passenger boats and water taxis are used to transport guests from island to the shore. In Spanish Wells, Eleuthra Bahamas our passenger boats are used by resorts for water shuttle of personnel and hotel workers from one hotel resort Island to another hotel resort Island. 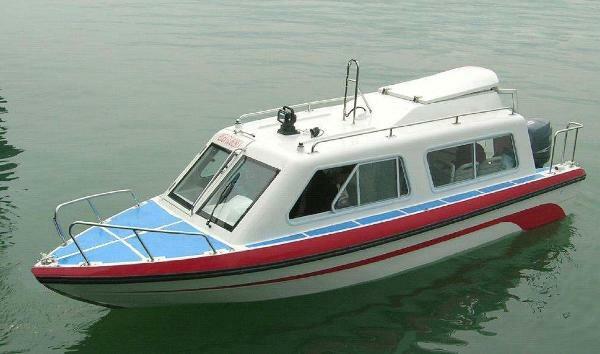 2015 Allmand 38 Water Taxi Free Global Shipping IncludedIn the USA shipping is free when purchasing the hull only.Shipping is always included for orders outside the USA with or without engines.For turn key orders with engines in the continental USA, shipping averages $1.75 per mile or less from Cincinnati, Ohio.38' 30 passenger vessel fiberglass CHOOSE OPTIONSPassenger boat 38 ft length x 10 ft width White colourHull Made For Inland Waters ...............; US$86,400.00Hull Made ForOffshore Sea Conditions 16mm bbottom;8mmsides...... US$114,000.00console at rear and bench seat............... included30 passenger seats................... 30 includedaluminum fuel tank.................... 1 includedbilge pump................. 1 includedYamaha 4 stroke 200HP engine w/ prop, wire harness, controls............. US$21,500.00 eachYamaha 2 stroke 200HP engine w/ prop, wire harness, controls................. 2 US$17,250.00 eachUS Sea Star Hydraulic steering system with two in one box.................. US$1,800.00full hardtop canopy with s/s tube frame...................... 1 includedshipping steel frame....................... US$450.00electrical fuse and switch panel............................ includedPort of Destination: Global Major Cities....................... includedSpecificationsOverall Length: 38' 7"/11.81mBeam: 10' 1"/3.08mDepth: 4' 5"/1.38mDraft(aprx. ): 19"/0.5mTransform Height: 25"Design Category: B-offshorePerson Cap. :30Rec.HP: 250-400HP For those who are serious about small passenger boats and know their territory, this is your best option. We make these models in many designs. First we can make for either inland waters with standard hull thickness for bay waters, or offshore sea conditions such as St Maarten to Hawaii where we make you hull super strong 16mm on the bottom and 8mm on the sides. In addition to hull thickness options we provide outboard or inboard engine set up. For those who need a C.O.I. vessel in many cases the standard plus model will work as an inboard diesel set up. If you need a C.O.I. fort outboard application we also make with fire retardant materials. Time to build and deliver range from four to seven months so order well in advance.